Our WordPress 101 videos are simply the best way to learn WordPress, but did you know they can also be used to teach your own clients WordPress? In this post we’re going to show you how easy it is to use our growing library of WordPress tutorial videos to provide more value to your marketing and development clients. Install on all your clients’ sites. Effective training videos are easy to understand, and communicate clearly from start to finish, not only explaining HOW to accomplish a task, but WHY the steps are important. The best training videos also show careful attention to detail and add value throughout. Good content is not enough if the audio quality is poor or if the presenter is hard to follow. Professional audio and video production. Crisp, clear sound and visuals. Meticulously scripted. No awkward pauses, ‘uhs’ or ‘ums’ here! Regularly updated with every single WordPress update since 2008. Closed-captioned and Spanish subtitles, with more coming soon. Additional Training: WP201 videos and dedicated courses for popular plugins. 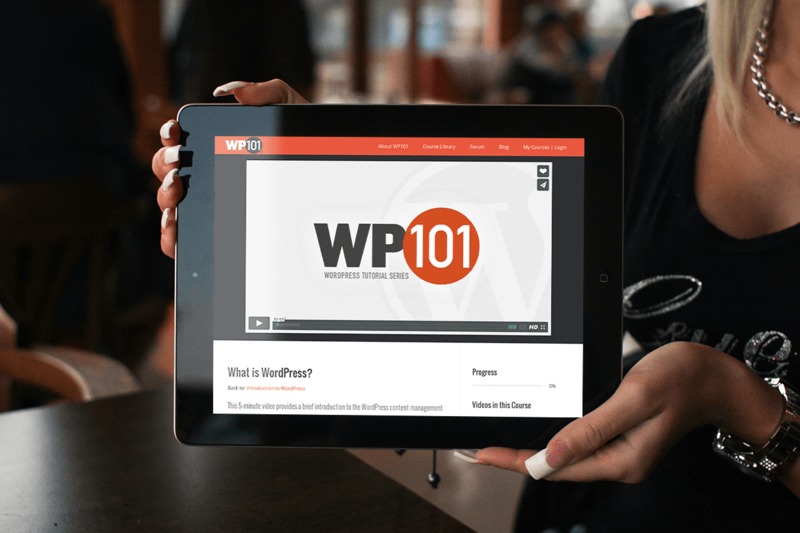 The high production quality of WP101 videos means you can provide solid WordPress training to your clients without sacrificing the integrity of your own brand. It is easy to make our quality WordPress training videos available to your clients so they can learn WordPress at their own pace. Below are the three options we offer. 1. 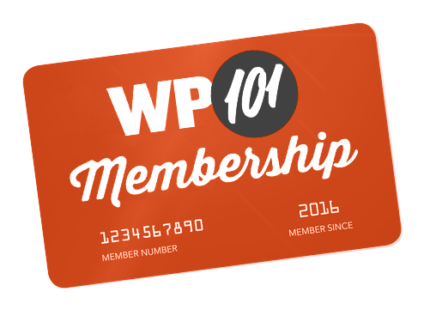 Purchase a membership to WP101 and gift it to your client. WordPress 101 Course: Includes our most-popular 20-part video series and access to the members-only Q&A Forum. Gutenberg Course: A 17-part video course by WordPress educator, Joe Casabona. Jetpack Course: A 42-part video course by WordPress educator, Zac Gordon. The Yoast SEO Course: Includes 13 videos that teach your clients how to utilize the Yoast SEO Plugin. WooCommerce Quick Start: An easy, 12-part video course by WordPress educator, Joe Casabona. WooCommerce Course: Our 22-part complete guide to every feature in WooCommerce. MailPoet Course: An easy course that will help your customers build an email list and send newsletters to their audience, using the MailPoet plugin. Ninja Forms Course: How to create custom forms for your WordPress site using the popular Ninja Forms form builder plugin. Event Calendar Course: How to add an events calendar to your site, by Brian Hogg. All-Access Pass: An All-Access Pass includes access to all of our current courses for up to 12 months. If you’d like to purchase subscriptions in bulk for multiple clients, get in touch with us for a bulk discount coupon code. Install on an unlimited number of your clients’ sites. Includes the 20-part WordPress 101 video tutorial series, plus videos for Jetpack, WooCommerce, and the Yoast SEO plugin. 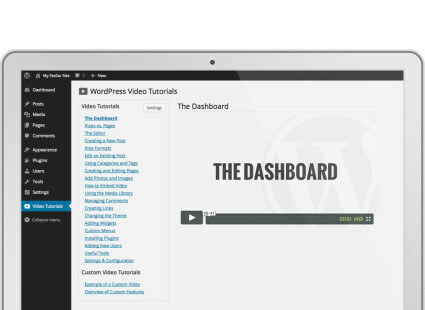 Videos play right in your client’s WordPress dashboard. White-Labeled: The videos in the WP101 Plugin do not contain any logos, making them the perfect branding tool to add value to your service offerings. Videos are streamed from a worldwide CDN, making for exceptionally fast load times. Choose which videos you want to show clients and which you do not. Add your own custom videos to tackle areas not covered in the series. Many WordPress developers use the WP101 Plugin to provide training to their clients even before the project is complete. This not only provides value up front, but also enables the client to become familiar with WordPress basics while the project is still underway. Starting at just $19/month for installation on unlimited client sites, the WP101 Plugin is an absolute must for any developer or marketer who wants to boost their value to clients. Our videos. On your site. 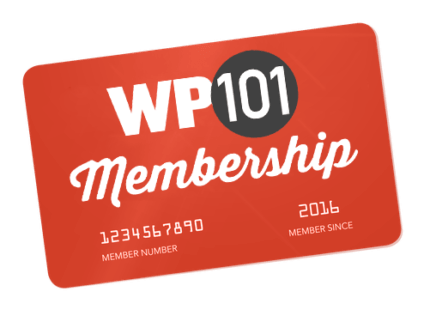 With a Pro Plan subscription to the WP101 Plugin, you can embed our WordPress 101 videos on your password-protected pages on your membership site! This is the best way to provide our WordPress training videos to your clients while reinforcing your brand. Embed our WordPress training videos on your password-protected pages on your own website and provide them to your clients as you see fit. Imagine being able to offer your own comprehensive, white-labeled suite of WordPress training videos on your website alongside your development or marketing services! Create up-sell opportunities by charging for access to the videos on your own site. Perfect for WordPress companies who want to provide valuable WordPress training as part of an ongoing maintenance contract after the sale. Hosted videos! Don’t want to bother with the hassle and additional cost of setting up your own video hosting account? Video hosting is included! Automatically updated video files whenever we re-record them for every major WordPress update. You get all of our WordPress 101 videos for only $499/year, which includes no logos or branding of any kind. Free your time to do what you do best! You probably spending hours every month teaching your clients WordPress basics. But what happens when they need a refresher two or three months from now, or have forgotten what you taught them? 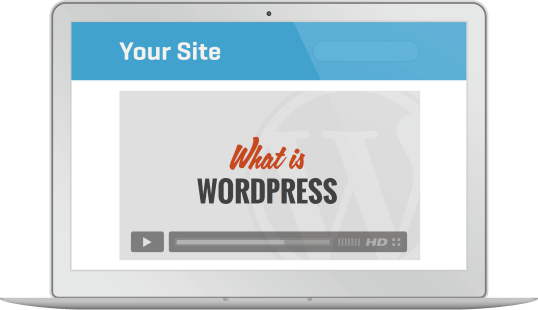 Why not put the WordPress 101 videos to work for you and you clients? Using our videos for your clients will expand your current service offerings and reinforce your brand to your clients. Please get in touch with us if you have any questions about any of our courses or the WP101 Plugin.